Humboldt Bay is the heart of our community. Its pulse is the rhythm of the tides. Each tide disperses everything from micronutrients that sustain vital natural resources to cargo destined for international commerce. There are unwritten natural laws and there are legislated laws that guide us through the decision-making process for utilizing our incredibly valuable resource, the port of Humboldt. 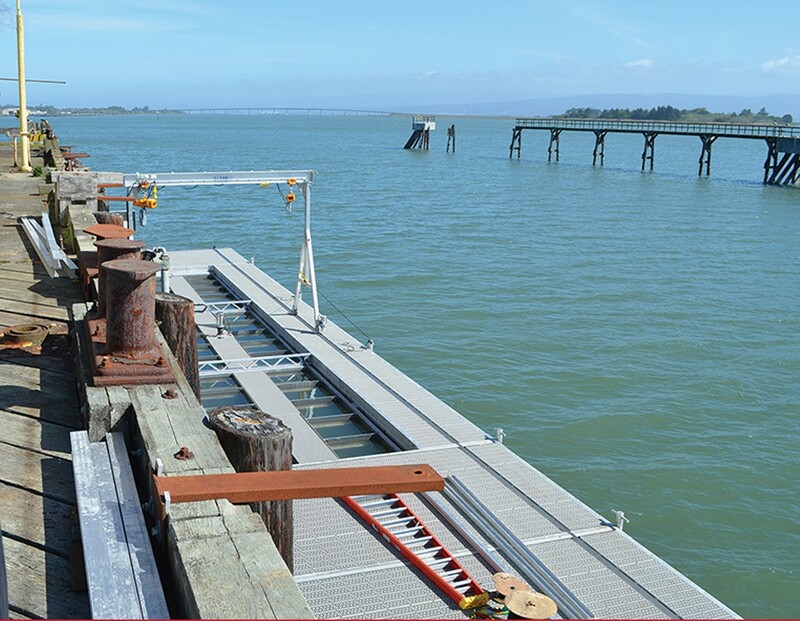 The Humboldt Bay Harbor, Recreation and Conservation District was created by a legislative act that set parameters to ensure that decisions we make consider the health of our economy along with the health of natural ecosystems. The District's mandate is to "provide and develop port and harbor facilities for the benefit of the people," and for "the development and protection of natural resources." 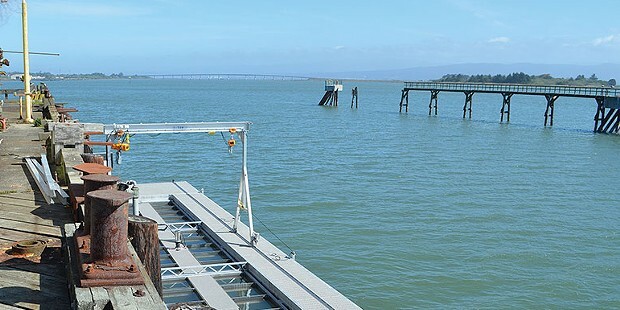 At this year's Humboldt Bay Symposium, a variety of topics centered around the developing science of anticipated sea level rise. What was acknowledged throughout the two-day session was that long-term planning is going to be very difficult. For instance, how would you tell a property owner or land manager that they can or can't develop vital economic or environmental projects based on relatively new science and an untested model of sea level rise projections? Planning on horizons 50 or 100 years in advance is unprecedented. Everything from environmental restoration projects, coastal-based affordable housing and international commerce are essentially being thrown into a regulatory quagmire. One example relating to restoration projects is the eradication of Spartina densiflora. Spartina is a sediment-trapping and topography-building plant that can collect enough sediment to keep up with sea level rise, according to initial studies. Some of these plants targeted for removal provide incredibly valuable coastal protections and replacing those protections would be very costly. Conservation of beneficial and established habitats may be wiser than attempting to recreate habitats that may have existed 150 years ago. Redirecting the resources spent on those eradication projects would effectively free up millions of dollars to work toward coastal protection and adaptation goals. Let's look at what we have available to work with right now. One of the tools is the existing legislation, which includes the Harbor District's mandate. Effective and efficient transportation of goods help to fill local coffers and fund valuable conservation projects and recreational opportunities, as well as quality jobs. Since the downturn in shipping, the Harbor District has been forced to scale back valuable projects and become over-reliant on grant monies. This has resulted in projects that are often out of local control and laden with problematic conditions. Instead of the project representing the best interest for our community, we are at times forced to accept only the projects that are "fundable" through outside interests. For instance, the district does not have the money to provide matching funds to determine if we are putting dredged sediments from the harbor channel in the right spot. Dredging spoils need to be considered a valuable commodity, not just inconvenient trash we dump 3 miles out in the ocean. Options relating to how we use dredge tailings should also include uses like cement manufacturing and re-enforcement of existing dikes and levees. Depositing a significant portion of the dredge spoils on either side of the jetties would return these valuable sediments to the ocean currents for distribution to beaches along the littoral cell. This is a common practice in other coastal areas. Then, as the sediment sands are collected by coastal plants, we actually grow land, a valuable habitat and coastal security. Additionally, if the district was financially able to fund and support artificial reef projects, that would not only help our fisheries but, if placed in specific locations, may potentially deflect some of the Eel River sediments that end up in the bay. Where are the current revenue streams? Right now, the district's main revenue stream is the marinas. Unfortunately, that rather modest revenue is being used to pay down debt from vacant or underutilized properties owned by the district. 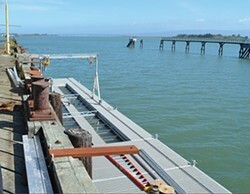 The aquaculture industry does not provide significant revenue to the district, although there are some unmeasured benefits, such as tourism from the Arcata Bay Oyster Festival. Can or should shipping be revived? Many think so. Recent postings by one of our harbor commissioners indicate an encouraging uptick in cargo tonnage leaving our harbor. We are in a unique position geographically, and because of our existing land use policies we are primed to reset our transportation system. We can be the green port of the nation. With increased efficiency in ship designs and rail, we could be at the forefront of reforming how we distribute international goods and services. No, we are not going to be able to transfer mile-long trains of coal through our port. We simply don't have the facilities and Gov. Brown signed legislation prohibiting new coal export facility development last August. We are not going to become the port of Oakland, either. Our harbor is simply neither big nor deep enough. However, we can look to the agriculture producers and manufactures of Northern California and western states to supply cargo in and out of our port using highly efficient diesel/electric locomotives. Adding a visitor's train to showcase our spectacular bay would be icing on the cake. Hats off to the Timber Heritage Association for their efforts to bring our community the enjoyment of their popular speeder rail car rides. We possess the vital opportunity to use our resources to enhance our productive harbor and protect our vibrant bay. We cannot afford to keep looking back and attempting to recreate a past that is long gone. We can have international commerce, abundant agriculture, aquaculture, coastal protections and thriving wildlife, as well as significant recreational opportunities. From my perspective, we need to start by trusting ourselves. We need to not just compromise but collaborate. It also means that we must recognize the tools we need to work with and grow more proficient with using them. Those tools include established legislative guidelines as well as our abundant natural, cultural and intellectual resources. Uri Driscoll is a professional horseman and farrier. He lives in Arcata.